I was expecting another jazzed up album of holiday cover songs I may listen to once or twice, but what I got was an excellent little EP of both originals and Christmas standards. The best song, I think, the Skatalites / Xmas mashup. Even if you missed the xmas season, I would still pick it up and give it a listen (by yourself ofcourse). As you may guess, RBG is a ska cover band, playing early 80's hits. You may have heard a few of their songs played from their EP that came out earlier this year. This well know traditional style band from the UK is out with their newest album, featuring guests like Dennis Alcapone and The Dominoes. Thanks to Daniel for sending in the info on this band from Georgetown, Ontario. Both of their albums are currently available for free download on bandcamp. Here is an excellent song from this great matchup, a teaser of what is coming of the soon to be released EP, My Favorite Heart To Break. I'm hoping the two Canadians, King Kong Girio (King Apparatus) and The Fabulous Lolo (Kingpins), will have more than this one project together. You can pick this song up for a free download on their bandcamp page, listed below. By the way, it might be a good time to stop by and tell Mrs. Lolo happy birthday on her facebook and no, it does not really matter what day you read this. Keeping up their tradition of putting out an album every 9 or 10 years, here is the most recent album that was released a month or so ago. As you may guess from the title, they are back with album number 7,it is a cover album of haloweenish songs. This Is Halloween, Thriller, Monster Mash and Let's Do The Time Warp Again are among the skank-a-along you all know. I guess they could have called this album Holoweenics...on second thought maybe thats not a good idea. 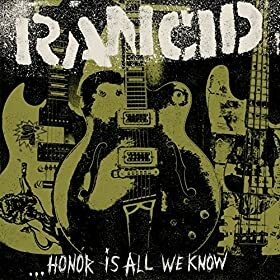 Rancid is a band that should need little introduction. So here is their newest album. You may have heard the title song of this EP(or mini album) played a few times, now the album is out. Oreskaband is an all female pop/ska band from Osaka Japan. 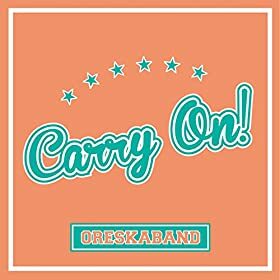 That title song, Carry On, is likely the ska-est song they have put out and very catchy. I haven't found an album download store link yet, I had to order the cd from Japan. Thanks to their fans, another kickstarter project has successfully completed the process and made it out the door. If you have not heard The Orbits before, they are a traditional ska and rocksteady group from Seattle. This is their third album, it has a great mixture of covers and originals. Great new album just out this week. If you haven't heard Left Alone, they are a punk rock & ska (not ska/punk) band from Wilmington, CA. Thanks to the band for sending in their newest album. El Saco y Las Cucarachas from Allgäu in Southern Bavaria. According to their facebook, they play music because music is awesome. They are a jazzy ska/punk group from Winter Springs, FL. 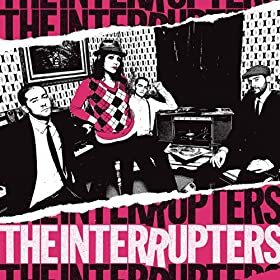 If your a fan of good ska & punk rock like Op Ivy & Rancid, then here is an album for you (Speaking of Op Ivy & Rancid, Mr. Armstrong is on one of the songs). It's ska/punk done right, like back before all the bands started to sound the same. I liked it enough that I went ahead and paid 2$ more for the 'deluxe' edition (I guess if you don't like them all that much you just buy the regular edition with 2 fewer songs ?). Thanks to John for sending in the bands new E.P. The Freecoasters are a great soulful ska and rocksteady group from Ft. Meyers, FL with a female lead vocalist. Here are a few great covers from this ska-party band from D.C. They have a ska version of Timber and Boys Of Summer. By the way, they are available for partys, wedding & divorce celebrations and more. Thanks to this great band from Austria for sending me their newest album. You likely have heard songs from the earlier album, they get played quite often and this new album is just as good. Thanks for the boners for mailing in a real cd. They are a ska & ska/punk band from El Monte, CA and have been together since 2011. This great Chicago area soulful ska group is back with their new album. Not much else to say about it, it's great. This NJ group has been together since 2001 and is just out with their 2nd studio album after a successful Kickstarter campaign. You may have heard a couple tracks played that the band sent in a few months ago and now we have the real deal. Somehow this album slipped by me when it was released, now I got it. This excellent rocksteady group from Spain features two female vocalists and they hit it just right. The name of the album perfectly describes this band. Great 3rd wave band from Orlando, FL. You've likely heard some of their songs recently off the last EP on the station, now they have a new full length album. While I was not up on all their albums, I don't think is the wurst ever, it's not bad actually. Sorry, I don't know how to type the U with two little dots, so this listing isn't 100% correct. Excellent 2nd album from this Eugene, OR group. I have quite a few videos from this band if you want to check them out, click on the video link over there. Great new album from this Santa Barbara, California group, just released today. As you may know, this is their first new album in 7 long years. Here is some great music from some great bands. Also, it's just $5. Disclaimer, the following is copied and pasted directly from their facebook, I don't feel like retyping it all using slightly different words. Tribal Seeds, Fortunate Youth, The Slackers, Deal's Gone Bad, The Skints, Rootz Underground, Hirie, The Hot Rain Band, Blue King Brown, Marlon Asher, The Expanders, The Simpkin Project, True Press, Arise Roots, Mighty Mystic, Sashamon, Highdro, Papafish, Afro Omega, Codi Jordan Band, Dewey and The Peoples, and many many more!! Music Unites - Reggae Around The World, Volume 3 is out now!! 30 bands - 30 songs - and all money goes to help children who have lost their music programs due to underfunding. Spread the word. Any help means the world to all involved!! Well known from The Specials, Nevillie Staple is back with an excellent album of both ska standards and original material. Thanks to Chris for sending in the bands limited edition recent 3 song single. Although the band isn't playing shows reguarly they still find time to get some music out every now and then. Excellent 7" that just came out on Jump Up Records, with two new songs. Another great release from Jump Up Records. This limited edition disk features a new song from DGB's upcoming album Heartbreaks & Shadows, due out soon. Back side feature a cover of Lodi (CCR). This group from the Southern California area is out with their first full length album. They have a mixture of reggae rock, ska and acoustic tunes, you should hit up their page and check it out. Here is a great 21 track sampler available for free on bandcamp right now. Excellent cover of this No Doubt song featuring Drew Tabor on vocals. You can check the song out on the bands soundcloud page. Their facebook sum it up quite well, so rather than retyping the same information in a different order, I just stole stole this next line entirely. Rude Boy George features NYC ska musicians from Bigger Thomas, Across The Aisle and Funk Face who play ska and reggae versions of 80s New Wave songs! This 7 piece Gainesville, FL band may no longer be together, though the members have moved into other excellent bands, so they decided to put out their old album on bandcamp. You can pick it up for free or send them a few $$ if you want. In with the first new album of the year, the reggae/rock group from the Seattle area cd just put out their debut album. I picked up this album at their release party Jan 3rd, great show, there some videos posted in the video section if your interested.